Adding style and elegance to a room is simple with extra-wide width antique brass grommet top blackout curtains. 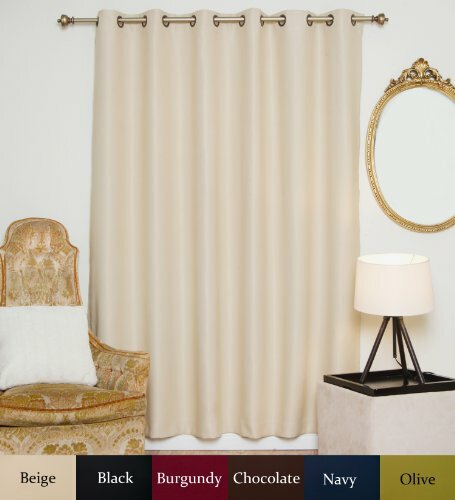 This extra wide thermal blackout curtain features innovative fabric weave construction. This curtain blocks out light and reduce noise while cutting back on window related energy loss. Available in a variety of colors and sizes. If you have any questions about this product by Blackout Curtain, contact us by completing and submitting the form below. If you are looking for a specif part number, please include it with your message.